A Deluxe White Rabbit Costume with a EVA mask and pocket watch, ideal for a dark fantasy theme or something different this Halloween! This great Deluxe White Rabbit Costume is the perfect outfit for attending a fairy tale themed party and adding your own little twist! 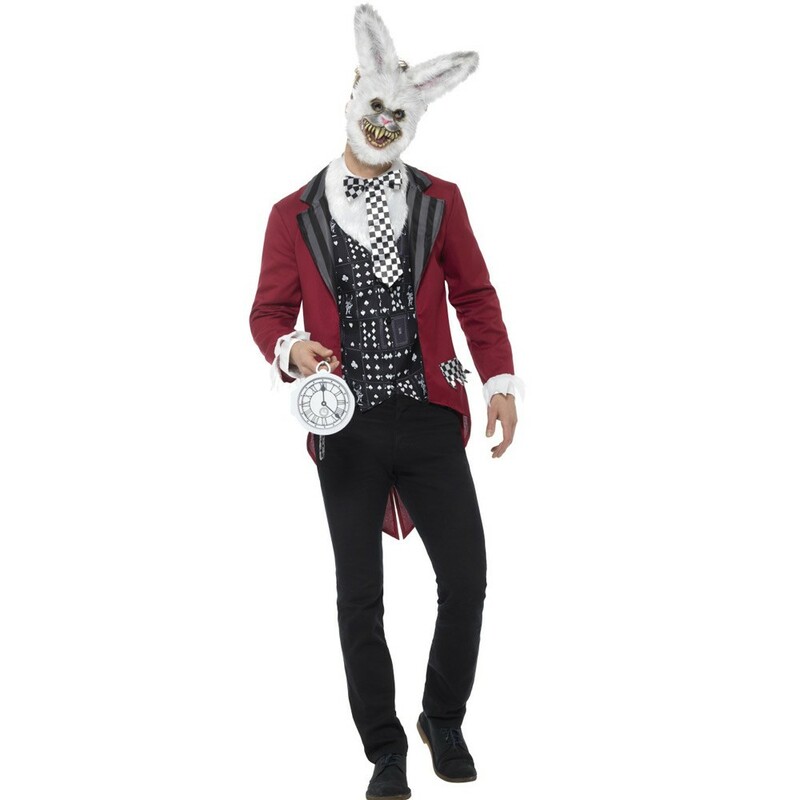 This Deluxe White Rabbit Costume comes with a Red jacket with attached shirt, a scary EVA mask and oversized imitation pocket watch for that perfect finishing touch for Halloween or indeed many parties. This Deluxe White Rabbit Costume is manufactured by Smiffys, a trusted brand of fancy dress wear. 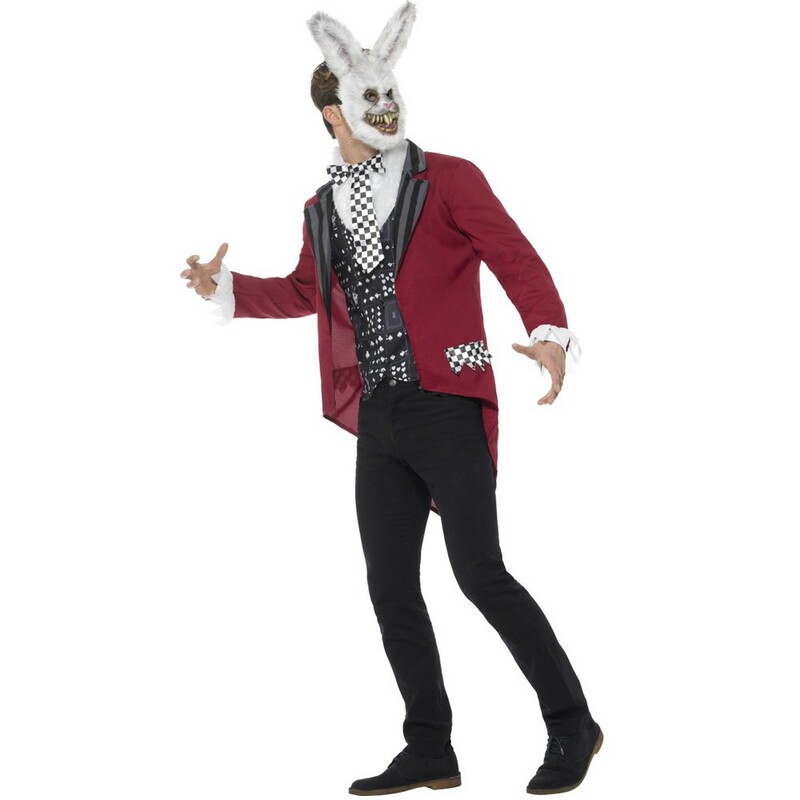 Don’t delay, “Go through the Looking glass” and get your Deluxe White Rabbit Costume today. Available in sizes Medium, Large and Extra Large. Red Jacket, Mask and Oversized Imitation Pocket Watch.